Joanne Peh is going to #getsassooned ! | beauty. bikes. Joanne Peh is going to #getsassooned ! Any hairstyle change for an actress is a huge deal. It can make or break their image, and reduce or increase their chances of getting more gigs or shoots. It can also get them so much attention and rocket them to superstardom (think Jennifer Lawrence! Carey Mulligan!). So looks like Joanne Peh is getting a hair makeover with Vidal Sassoon and a contract as their ambassador! What a huge deal, congrats Joanne! Her hairstylist is the ever talented Calvin Gan of Hairloom who was trained at Vidal Sassoon. I’ve had the opportunity over the years to work with Calvin, as his model for shoots and then alongside him doing makeup. My current hairstyle is created by him too! 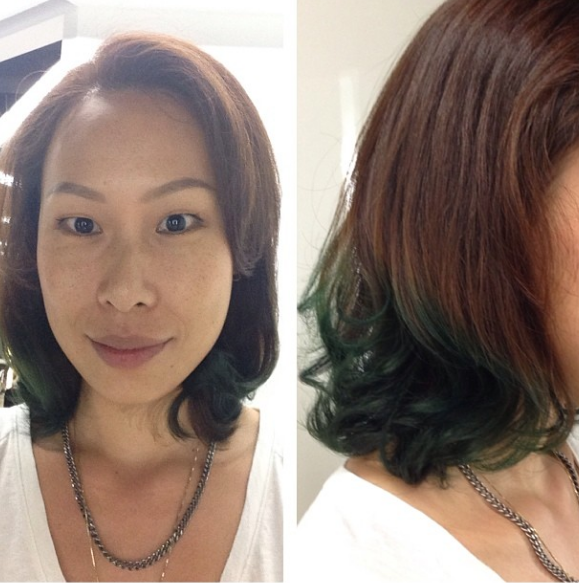 So look out for Joanne Peh’s full transformation, which will be revealed on February 20! Tags: calvin gan, haircare, hairloom, hairstyle, hairstyling, joanne peh, vidal sassoon. Bookmark the permalink. Previous post ← Do I Miss Being A Model?